Easter in Barcelona – What to do? Spring is finally here which means Easter is just around the corner. Barcelona is a wonderfully rich city to spend Easter in as there are so many traditions and cultural events going on. This year, Easter week is from Sunday 9th of April to Monday 17th April. Easter in Barcelona. Discover what to do in the city. 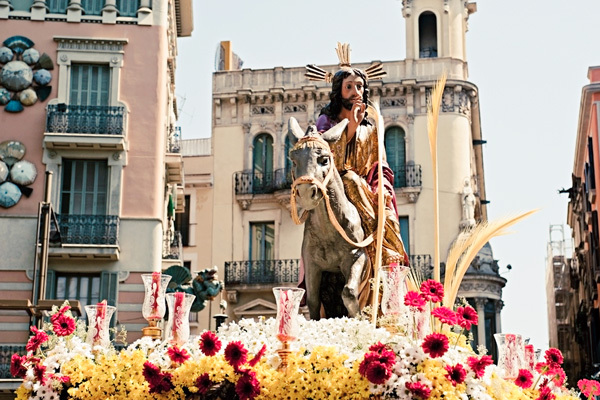 The Easter processions in Barcelona always take place on the Palm Sunday and Good Friday to commemorate Jesus’s arrival to Jerusalem and then his crucifixtion. Palm Sunday this year (9th april) will see the procession “La Burreta” go through Plaza San Agustín, calle Hospital, plaza de la Boqueria, La Rambla, calle Santa Ana, avenida Puerta del Angel, calle Cucurulla, calle Puertaferrisa and back, leaving from Plaza San Agustín at 10:00am and getting back at 13:00pm. On Good Friday (14th April) more important processions will begin from 16:00pm onwards. We recommend you head to the Cathedral of Barcelona between 16:00 and 23:00 where processions and activities will be going on all day. 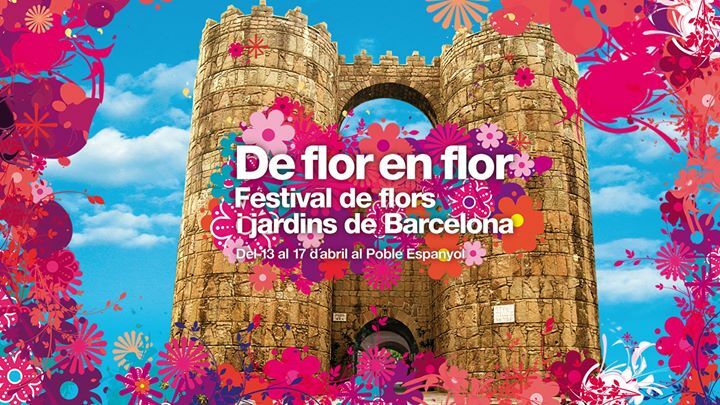 “De Flor en Flor” is Barcelona’s anual flower and garden festival and coincides with the week of Easter. From the 13th to 17th of April 17, the streets and plazas of the emblematic Poble Espanyol fill with colour and smells of the different flower expositions. Across the 5 days, there will be 18 different floral arrangements in various venues, exhibitions of roses, orchids and bonsais a whole host of workshops from urban gardens to floral art, live music and even a quick paint contest for kids and adults. 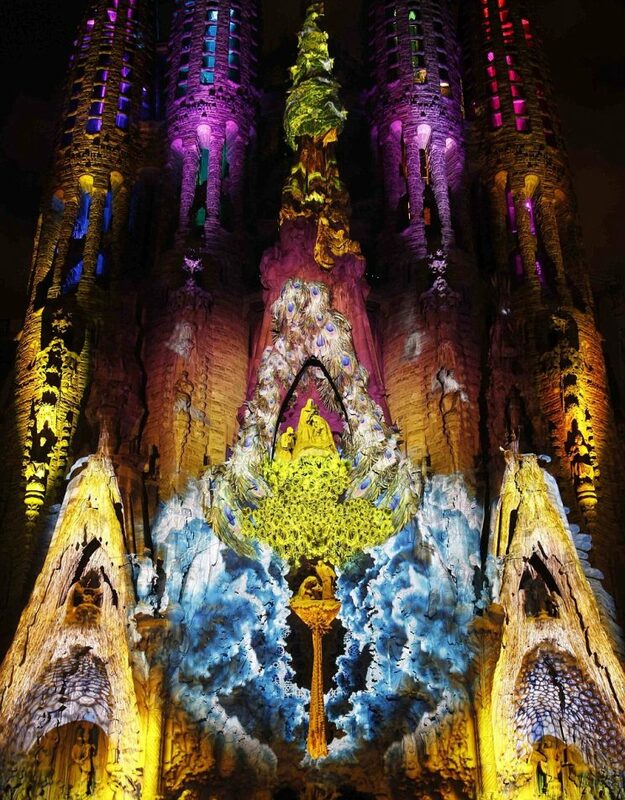 Between the 10th and 12th of April between 8pm and 10pm, the Sagrada Familia is lit up with special illuminations for a grand spectacular open for everyone. The illuminations will happen three times a day for 15 minutes, narrating the passion and death if Jesus Christ that is told through the sculptures on the façade of Passion of the Sagrada Familia. What differentiates the Calalonian Easter celebrations from the rest of Spain is the tradition “Mona de Pascua”. You’ll be able to see beautiful displays of the typical Mona de Pascua cake, adorned with eggs and chocolate, in windows all over Barcelona. They are made really to appeal to children, with entire scenes artistically created on top of them from chocolate and other sweet treats. 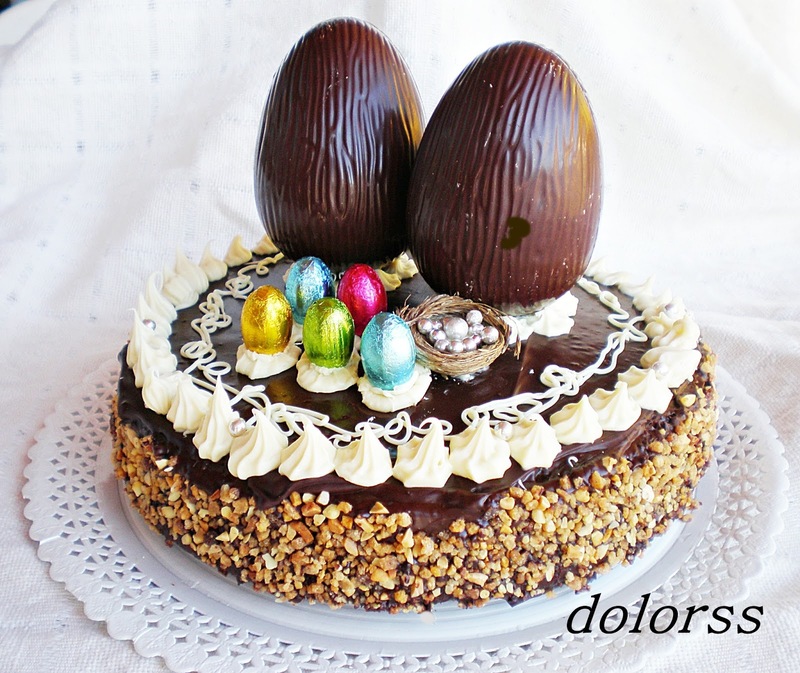 Traditionally, the god parents give the cake to the children on Easter Sunday and then they are eaten the following day on Easter Monday. La Colmena is one of the oldest bakeries in Barcelona and each year has a beautiful window display of intricately designed cakes. Another bakery that we recommend to visit to buy your Mona de Pascua is Escribà in Eixample. The weather is only getting better and spring has really arrived. 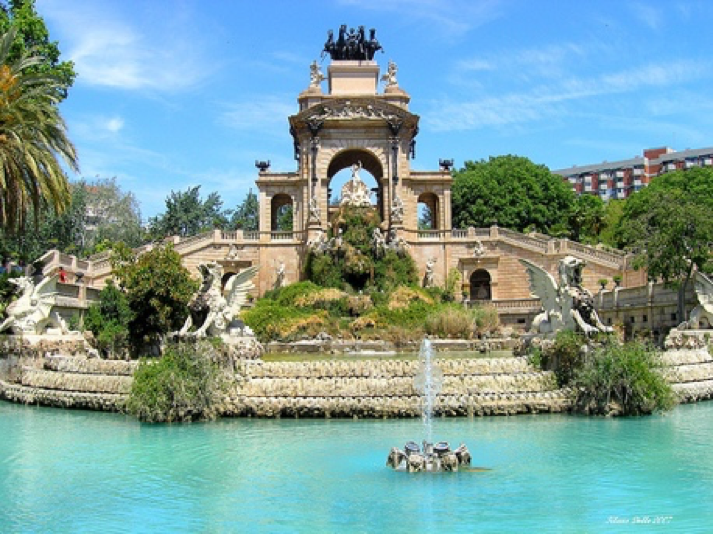 The Ciutadella Park is a peaceful setting with a lake and fountain where you can bring a picnic and share your Mona de Pascua on Easter Monday. Whatever you end up doing this Easter in Barcelona, bear in mind that the official holidays are Sunday 9th, Friday 14th and Monday 17th and that the majority of shops will closed on these days. Restaurants however will remain open so that you can try the best of Catalonian cuisine. Read our food guide for the best spots in the city. Don’t forget to book your accommodation ahead as Easter time can get pretty bust in Barcelona! At Fuster Apartments we offer cosy apartments and studios in the centre of the city from just 90€ per night. Reserve now and get the best price!